The Monaco JCA would like to remind you of PRIMO CUP–TROPHEE CREDIT SUISSE the first week of February 2013. PRIMO CUP–TROPHEE CREDIT SUISSE 2013 is the first race in the Italian, TROFEO J/24 2013, as well as a great opportunity to test the waters of Monaco before the upcoming J/24 EUROPEAN CHAMPIONSHIP in October 2013. To register, log onto www.ycm.org. 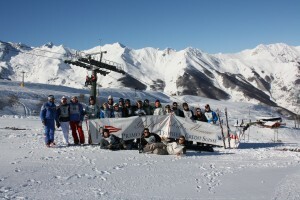 Plans are also secured for the J/24 Skiing Competition in Limone, Italy from January 29-30: http://www.riservabianca.it/home.aspx. Questions may be directed to Dennis Frederiksen at Dennis.Frederiksen-at-FraserYachts.com.